My scientific background is on Experimental Evolution and Evolutionary Genetics. I have been dedicated to identify the genetic basis of adaptation, by combining real-time evolution studies with the available genetic tools, integrating information of different biological levels. I focused on tracking phenotypic evolution, the evolution of chromosomal inversions and of their genetic content and temporal changes in gene expression concomitantly at the same populations of Drosophila subobscura. I analyzed early stochastic effects on genetic variation and in life-history traits and its changes through time during colonization and how they related with the subsequent adaptive evolution of fitness-related traits. My PHD focused on the theme “Tracking Evolutionary Paths in Colonizing Events: Temporal changes in life-history traits, microsatellites and inversions in Drosophila subobscura” under the supervision of Prof. Margarida Matos (Centre for Ecology, Evolution and Environmental Changes), FCUL, and Prof. Marta Pascual, of the Departament de Genètica, Facultat de Biologia, Universitat de Barcelona. My most recent goals of research still integrate on the study of the Genetic Basis of Adaptation, but presently I am focusing on Evolution of Aging, under an Experimental Evolution design. I am integrated in the Group of Evolutionary Ecology, as a Post-Doc in the Eco-Evolutionary Genetics Sub-group (Dr. Ivo Chelo) with collaboration with the Sub-group of Local Adaptation in Drosophila (Dra. 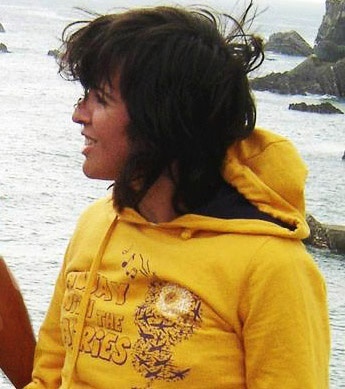 Margarida Matos), recently developing my research on the theme “Evolution of aging in a host-microbe system “. As microbes are known to affect host physiology, they are likely to regulate important trade-offs and thus the evolutionary dynamics of populations facing shifts in reproductive schedules. The main aim of my research is to study how microbes affect the evolution of aging, using experimental evolution of C. elegans populations selected for delayed fecundity vs. early fecundity, while being fed on different bacterial strains, some regarded as beneficial and other as pathogenic. I will track the evolutionary changes of C. elegans populations at the genetic, genotypic, phenotypic and fitness levels, first to test if adaptation to late-life reproduction is hindered by interactions with a pathogenic microbe, second, to identify the loci responsible for adaptation and the extent to which they belong to pathways shared between aging and immune responses. With this study, I expect to contribute significantly to what is known about contingencies in the evolution of aging. Santos, J., Pascual, M., Fragata, I., Simões, P., Santos, M.A., Lima, M., Marques, A., Lopes-Cunha, M., Kellen, B., Balanyà, J., Rose, M.R. & Matos, M. (2016) Tracking changes in chromosomal arrangements and their genetic content during adaptation. Bárbaro, M., Mira, M.S., Fragata, I., Simões, P., Lima, M., Lopes-Cunha, M., Kellen, B., Santos, J., Varela, S.A.M., Matos, M. & Magalhães, S. (2015) Evolution of mating behavior between two populations adapting to common environmental conditions.